Manufacturing innovative, refinery-grade fuel treatment chemistries proven to prevent critical fuel failures while enhancing fuel performance. Newport Fuel Solutions Inc. manufactures a new generation of innovative fuel treatment solutions to meet the challenges of modern petroleum fuels. Three decades of research, extensive laboratory analysis and field performance ensure optimum performance with minimum investment. Modern fuel chemistry remains extraordinarily challenging – the result of new regulatory mandates, changes in refinery processes and highly variable handling and blending procedures among a myriad of fuel suppliers. Yet traditional fuel treatment chemistry too often falls short – hostage to traditional concepts and corporate group-think. Not so with Newport Fuel Solutions. Our research staff continually investigates innovative and effective approaches to the constantly changing world of marine and industrial fuels – our only focus. Newport strength begins with three decades of experience in understanding the mechanisms within petroleum fuels that compromise the operational integrity of propulsion systems. The chemistry of fuel and the processes that produce them are ever changing – change that mandates innovative solutions. Petroleum fuel remains the lifeblood of civilization in the 21st Century – critical to the health, safety and well-being of humanity. Newport Fuel Solutions embraces a higher purpose – to formulate innovative chemistries that ensure against devastating fuel quality failures. No shortcuts are acceptable. No excuses permitted. 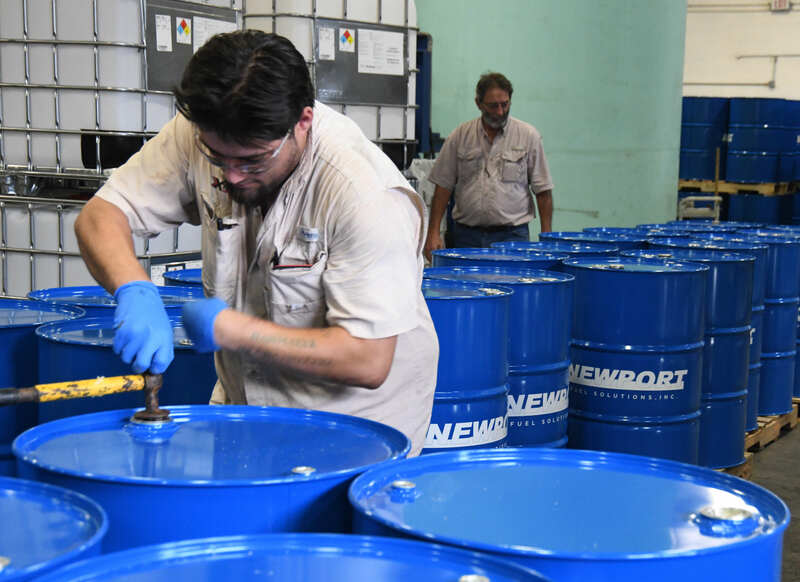 Newport Fuel Solutions products are refinery-grade concentrates – no “fillers”, no dilution, no compromise. Treatment cost is dramatically reduced, providing maximum return for minimum investment. The evolution of commercial marine fuels in recent years demands quick adaptation and innovative chemistry to keep vessel propulsion systems reliable, safe and efficient. Manufacturers of onshore emergency generator systems report that more than half the failures during critical emergency situations are the result of fuel that has degraded in storage.